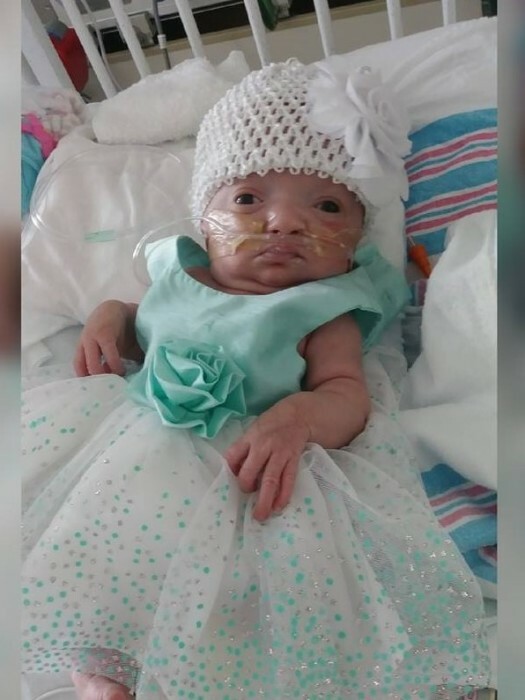 Sweet little Nathalia Cheyenne Rodriguez, age 2 months, entered into eternal rest on Tuesday, February 5th, 2019 at her home with her family by her side. She is survived by her parents, Carlos and Amber Rodriguez; brother, Carlos Antonio Rodriguez; grandparents, Elaine Quick, David Dial, Maria and Jose` Rodriguez; and great grandparents, Sharon Sue Smith, Amparo and Encarnacion Chicas. Nathalia was a sweet gift from God and will be greatly missed by her family. A graveside service will be held on Wednesday, February 13th, 2019 at 3pm at Sunset Memorial Gardens in Graniteville. The family will receive friends at the cemetery just prior to the service.